DISCLAIMER: This is not an affiliate post – I receive no financial benefit whatsoever. 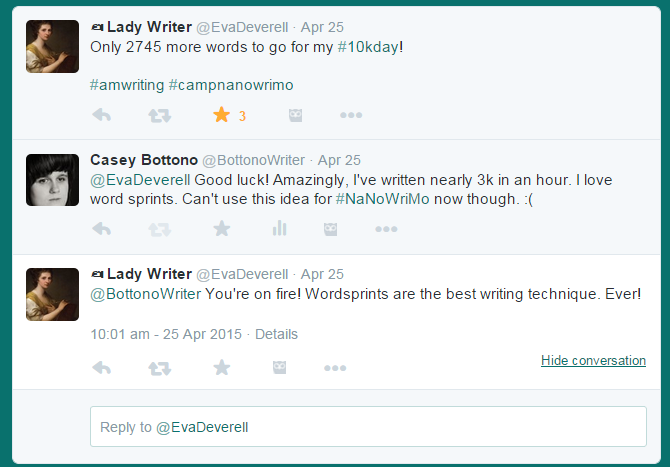 I simply wanted to share the benefits of Eva Deverell’s course. Although this belief has been tested time and again, and will continue to be so, I remain a firm champion of serendipity. Nearly six years have passed since the first and only time I threw myself into the saddle for National Novel Writing Month (NaNoWriMo) 2009. The novel I produced then is inelegant, ungainly, and perhaps most importantly unfinished. Just recently, though, I’ve had that novelistic urge again. Never mind that it’s not November, that I’m doing an MA and supposedly haven’t got time. I have four hours a night at least that I fritter away on social media, doing nothing much. What if, I thought, this is the time I use to write my novel? Buoyed by Eva’s enthusiasm, I checked out her website, and promptly discovered the wonders of The One Page Novel. ‘The One Page Novel’ is Eva’s incredible (currently free!) e-course. She takes you through a sixteen step process, on two sides of a standard A4 sheet. I was fortunate enough to have the basis of my project already, through a Faber Academy QuickFic prompt, but Eva’s framework has given me the rest of my novel. I’ll not say too much about the course here, because it must be seen and worked through to be believed. Through the process I have discovered that Take My Hand (provisional title) will be a Young Adult novel, rather than anything that I had previously thought it would be. There were other discoveries along the way, but those will be clearer when the novel is finally finished. For the first time in a long time, thanks to Eva and her course, I have a very real sense that one of my ideas will become an honest-to-goodness book at some point in the future. If you have a half-formed idea struggling for recognition, you might consider signing up for Eva’s course. It is a foolproof way of getting words from brain to page without too much fuss. As well as The One Page Novel, Eva offers a number of other delights to writers through her author website. Downloads of worksheets and other exclusive content are available to members of her creatively named ‘Coterie’. While you’re here, why not sign up for my new MailChimp newsletter? Once a month updates, straight to your inbox. News you’ll not get anywhere else. This entry was posted in practice, Writing and tagged e-course, Eva Deverell, novel, One Page Novel, writing course. I recently came across Sprint Shack on twitter and wondered if it was fun, sounds like it is! Productive and good for networking too, thanks for sharing your post and the great information! Absolutely – it’s a great tool for combining connections and getting those words down. Good luck if you decide to try it out! Thanks for stopping by to read the post. I’m looking forward to getting back to work on the project tonight.